The way we work with clients is inspired by the vision of our founder, Marty Kooman. In 1991, Marty left his position as a stock broker at a national brokerage house and created his own independent firm – Kooman & Associates. His motivation was simple: Marty wanted to help people make their lives better. He believed that financial advice should be based on the personal needs of the client, rather than the products offered by the advisor’s employer. And he believed the trust that drives a successful advisor-client relationship requires complete transparency and accountability. Those beliefs are the guiding principles of our professionals and the foundation of each client relationship. 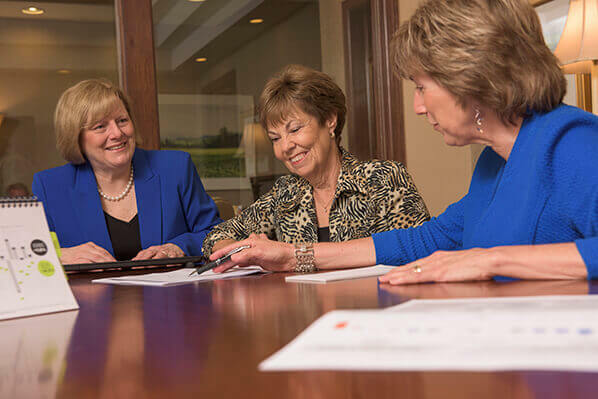 Our team understands the importance of the issues we help our clients deal with. We are honored by the trust they place in us, and want to strengthen that trust as our relationship grows. That’s why we strive to provide objective and straightforward advice; putting your needs first and delivering the highest possible level of service. Our hope is that we can establish a lifelong relationship that allows your family to preserve and enjoy its success for generations to come.